Finding the right breeder can be the most important step you take in selecting your Newfoundland puppy. For this reason, the Newfoundland Club of America (NCA) offers the following suggestions. 1. Talk to and visit with as many breeders as possible, even if it means a long drive. This will enable you to meet the breeder and see the conditions in his kennel. Although elaborate equipment is not a necessity, the facilities can and should be clean. To be healthy, the puppies should be kept clean at all times with a warm dry pen, clean bedding and flooring. Ask to see the mother and the father of the puppies. Keep in mind that many times the father will not be on the premises, but the breeder should offer information about him. Also, the mother might not look her very best—taking care of pups is hard work. Take the opportunity to attend one of the many Newfoundland Regional Club functions in your geographic area. This is a great way to network with breeders, other fanciers and to meet many Newfoundlands up close and personal. Your veterinarian may also be able to refer you to breeders or fanciers in your immediate area. Dog training centers also have a network of "dog people" that may advise you of upcoming dog events. 2. Be careful when researching puppies on the internet. The internet is a wonderful place to do research and educate yourself about Newfoundlands. However, nothing can compare to seeing the mother and puppies, a breeder's facilities or how the breeder interacts with their dogs. A visit to the NCA’s Puppy Information Center will give you a tremendous amount of information that will aid you in your search. 3. It is not unusual to have to wait six months for your Newf puppy from a breeder. Quality is worth waiting for. Reputable breeders will typically keep the puppies until they will have been examined by a board-certified cardiologist for inherited heart problems, given at least one series of vaccinations, and declared free of all parasites, usually, by 10-12 weeks old, a puppy is ready for his new family. Please keep in mind that responsible breeders are very busy—busy with their dogs and their local, regional and national clubs—and it may take them a while to respond to your inquiries. A responsible breeder will do whatever it takes to make sure that their puppies have forever homes. 4. Responsible breeders have written sales contracts and health guarantees. As with any contract or agreement, these should be read carefully and discussed in detail with the breeder before signing. Most breeders will offer a contract or agreement concerning puppies crippled with hip dysplasia or found to have a heart defect. Such contracts or agreements may also cover neutering or the care required to be provided by the buyer. Newfoundlands are subject to hereditary heart defects and should be examined by a specialist for such before being placed in a new home. No bloodline is absolutely free of all hereditary problems. The NCA considers it necessary to evaluate all breeding stock for hip and elbow dysplasias, heart defects and cystinuria status. Tests for thyroid function, eye abnormalities and patellar luxation are available. The NCA strongly encourages the use of these additional tests at the discretion of the breeder. A responsible breeder is ready and willing to openly discuss these potential health problems with you. 5. A responsible breeder will be happy to supply you with references of satisfied customers. In return, the breeder may ask you for references such as your veterinarian. He will also question you about your lifestyle, why you want a Newf, and your own facilities for a Newfoundland. He would be rightfully concerned if you do not have a securely fenced yard or kennel run with appropriate shelter. 7. A Newf puppy should come with the following information: AKC registration papers; a pedigree of 3 or more generations; written instructions on the feeding and care of the puppy; an immunization record and schedule including date and type of serum, and dates future inoculations are due; a worming record and schedule; a written sales contract and guarantee stipulating all terms and conditions of the sale including when and what health defects the puppy has been examined for and what they guarantee. If registration papers are not delivered with the puppy, the contract should state the conditions and when the papers will be provided. Examples of conditions are: when the puppy is spayed/neutered or when specific health tests have been performed. Finding the right puppy and breeder for you is often time consuming and difficult. Once found, you will have friends for life! Take your time; a few months spent in your search will be well worth it. 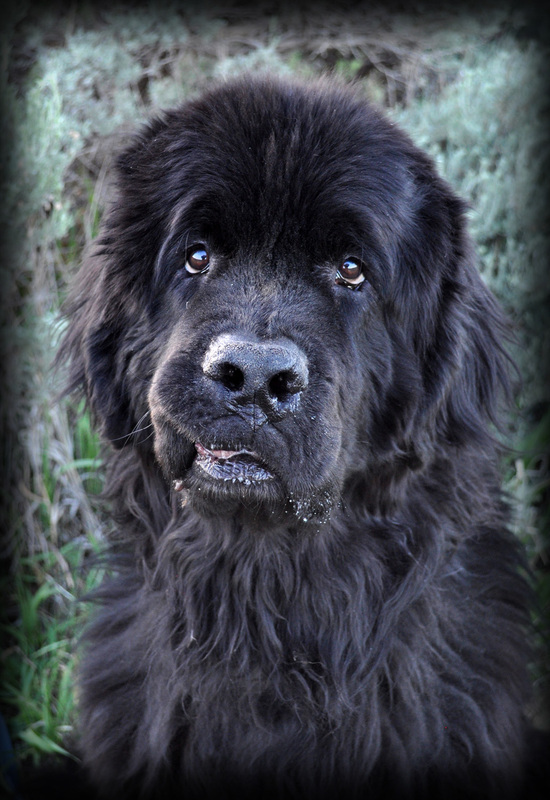 High Country Newfoundland Club provides a placement network to find safe and healthy homes for surrendered and abandoned Newfs in our region.